Snack chips are one of the most popular processed foods consumed in our society, and one of the most challenging to find truly satisfying alternatives. 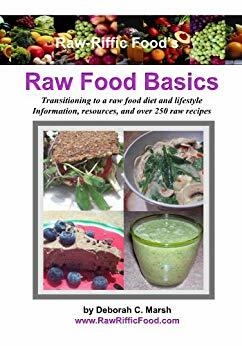 Although fresh veggies, fruits, nuts and seeds are always great replacements they may not always satisfy someone who is transitioning from the Standard American Diet (SAD) to a high raw and living foods diet. 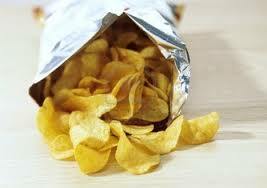 Traditional processed snack chips are truly bad for you. They basically provide no nutritional benefit at all. They are usually high in trans-fat, sodium, high fructose corn syrup, and MSG – just to name a few of the ingredients you shouldn't consume. Even the healthier choices on the market are still potentially cancer-causing due to the neurotoxic chemicals that are created during the high temperature food manufacturing process – it’s NO GOOD! Although fresh fruit and veggies are the healthiest alternatives to any form of processed food, sometimes it's just not enough to satisfy the craving - especially when you are transitioning from years of eating processed foods to eating all healthy fresh, live foods. The best alternative I have found to satisfy these salty, and sweet snack cravings is by making my own snack chips. 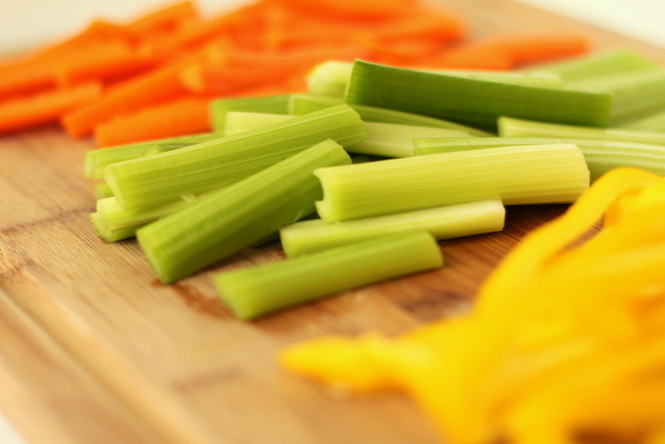 All you need is a dehydrator or low-temperature oven. 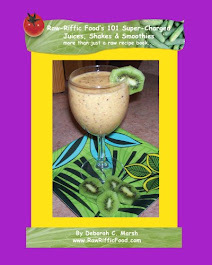 You can make all kinds of delicious, nutritious, low processed snack foods at home. You can prepare everything from veggie chips, to fruit chips, nut and seed crackers, and other great transitional snack foods. 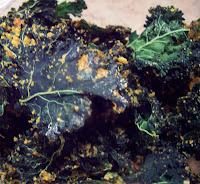 Some of my all time favorite snack food recipes are kale chips. I started making kale chips a few years ago when the idea wasn't so well received by those non-raw foodies. Those who were willing to try them really loved them. Others just couldn't imagine it, and missed out. Now kale chips are the biggest rave, with numerous brands popping up all over the grocery and natural food markets. I find the store-bought kale chips not as desirable. They are usually too bland, or bitter. I’m sure it has a lot to do with the over drying and over seasoning process in order to extend the shelf life. Many of these kale chip brands on the market are no better than the traditional highly processed snack foods, because of the added sodium and over heating of the product. For this reason, as I stated before, it’s best to make your own at home. Take the time to do it, you will truly benefit from the results. Plus, these homemade, crispy snack chips are a great transitional alternative when fresh veggies and fruits are not enough to satisfy that snack tooth!